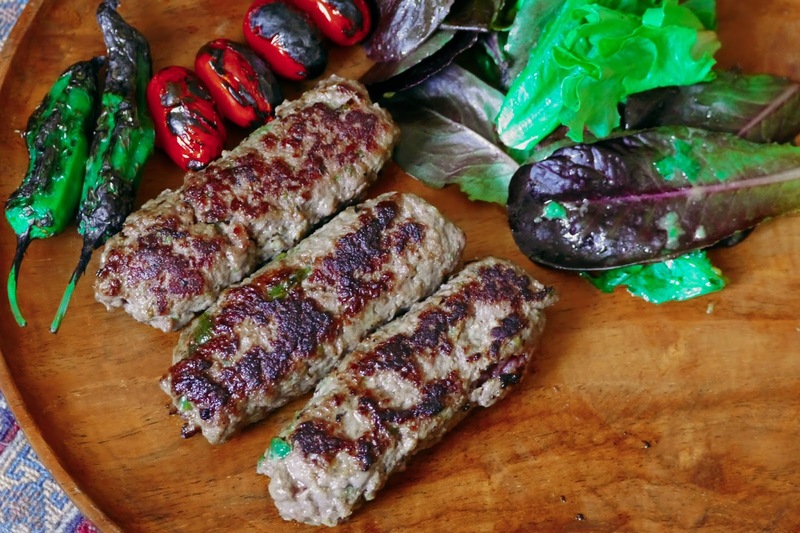 "Ćevapi," which seems to share same linguistic roots with "Kebab," is Balkan style grilled kebab. I first encountered these sausage shaped grilled patties in a Bosnian joint in Coney Island, the Eastern European food capital of the New York city area. Traditionally, in South European countries, these grilled kebab patties are served with sprinkled diced onions, red pepper sauce (i.e Ajvar), and clotted cream (i.e. Kaymak). To prepare them, ground meat is cured with a simple mixture of salt and baking soda. Furthermore, similar to the commonly made sausage mixtures, a dash of cold water is added to the meat, just to unsure the juiciness of final product. 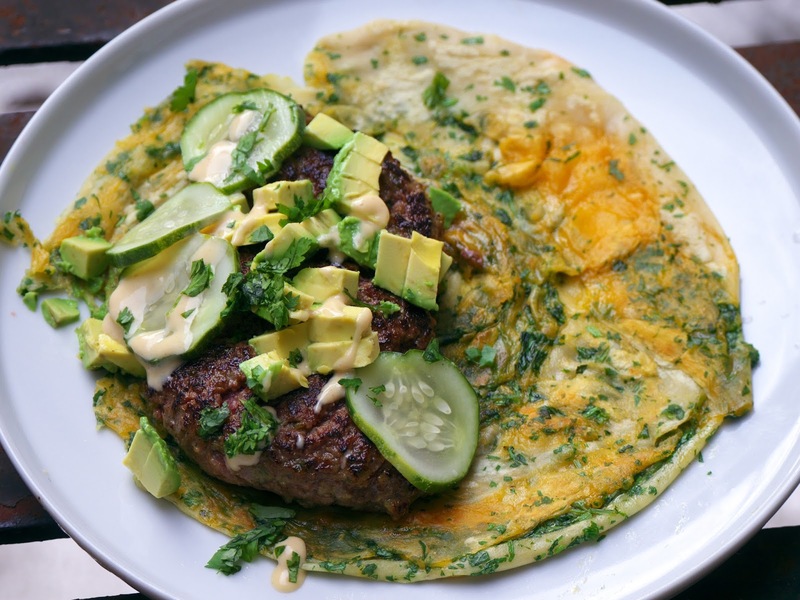 The key element in this recipe is baking soda, as it results in textural transformation of the meat (which also results in the creation of hard crust on patties); the addition of water, keeps the inside, utterly moist. * you may double the beef amount, in case of having difficulty with purchasing lamb. Char-grill the peppers until their skin are burned, remove the stems and seeds. Optionally, you may leave some of the burnt skin, for the benefit of extra smokiness. finely blend the caramelized onions, charred peppers, salt, baking soda, and water. Mix the resulting puree with the meat and knead until fully incorporated. Form several long sausage shape patties, the thickness of which is up to you. For juicer kebabs, of medium well done quality, form thicker patties. Note that medium rare is not an option here, as one might taste the baking soda. Arrange the patties in a container, cover, and let cure in the fridge overnight. Grill the kebabs either on a hot pan or on a grill. For thicker patties, you may need to finish the cooking process in the oven (400 F ~ 205 C).